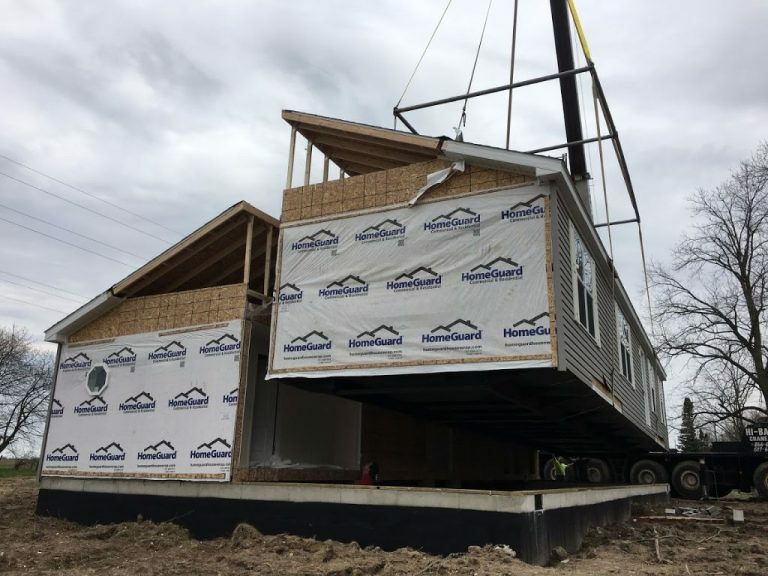 Modular homes are almost always set with a crane. This is mostly because they are delivered on a frame, which is then taken back to the factory and reused after delivery. A mobile home is phsyically built onto the frame, which stays with the home. Mobile homes can also be set this way, usually when the home is set on a basement or site conditions require it. These photos show a crane set of a double wide when conditions were too muddy for a regular ole’ truck.